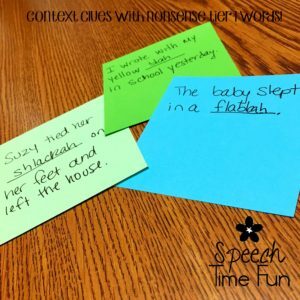 Tips and Tricks for Working on Context Clues in Speech! 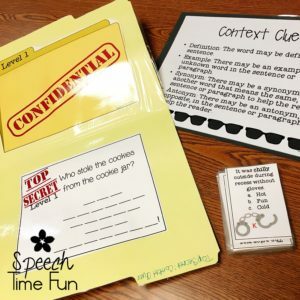 According to the common core state standards, students are expected to use context clues as of 3rd grade! But even earlier than that, they are expected to generate meanings of new words from sentences provided! 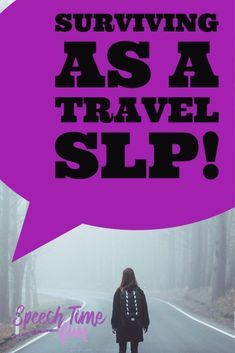 How can we work on this skill in a speech and language way?! 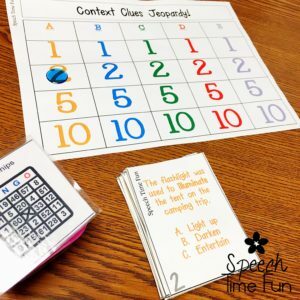 Start with nonsense words using tier 1 words! Substitute a common tier 1 word with a made u word. Can your students guess the word? How did they know? What clues in the sentence helped them? Can they identify them? Was it a description? Was it a synonym? 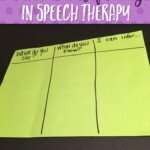 Use the EET to help them identify what describing words helped them guess it. For example, if you give the students the following sentence “The student wrote with the yellow blah in math class. Good thing she had an eraser for her mistakes.” What clues were there? -What is the sentence or story about? -Are there any pictures to help you? -Are there any examples of the unknown word? -Is there a synonym or antonym used for the unknown word? 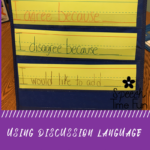 Using this strategy, students can discuss what they know: it is about a student, he did well, he didn’t think he would do well because he didn’t spend time on it, it is probably a feeling word, and what word can you use to substitute? What are some feeling words: happy, sad, angry, frustrated, surprised, worried, scared. Can any of these work? 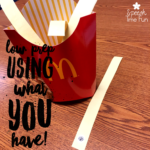 Here is one free and one paid product on TpT that I like to use for nonsense words! Struggling to know when to start working on context clues and at which level? I like to use k12reader.com to help me identify the levels the students should be on. It is a good reference for what they are expected in the classroom. 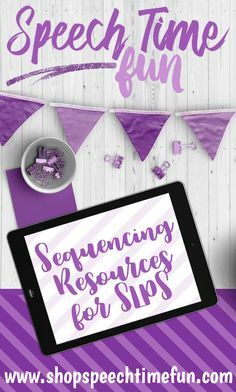 For each FREE activity, you are provided with grade levels and common core standards. Click HERE to jump to the context clues section of that website. You can also use Readworks.org to find passages geared towards working on vocabulary in context. Click HERE to jump to that site and see all of the passages, topics, and reading levels available. I love to use graphic organizers with my students to help them visually see the clues and generate a response. I have this FREE one with a winter theme, but you can also use this free one year round. Once my students master figuring out or guessing unknown words, I like for them to become more confident in knowing HOW they generated that response. This can be SO tricky for them! Especially if you are using an activity that has choices, they can figure out the meaning by the choice but don’t know how they got it. Therefore, they may struggle when the choices aren’t there when they are reading independently and get to a word they do not know. I like to cover up choices for those students! 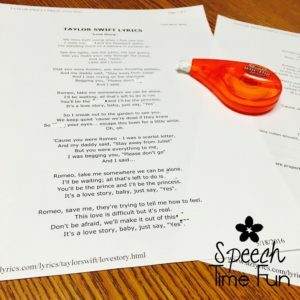 Another activity I like to have my students do is guess the hidden words of song lyrics (click HERE to view my video like thousands of other SLPs have already viewed!). 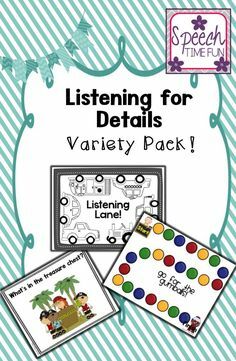 I know they know the words and can guess them, but can they guess other words that can fit into those slot based on the clues, words around it, and what it is all about? I always pick popular songs that have clean/appropriate lyrics, such as Taylor Swift. You can easily Google and print out any song lyric. You can even use unfamiliar songs so they don’t know the word prior. 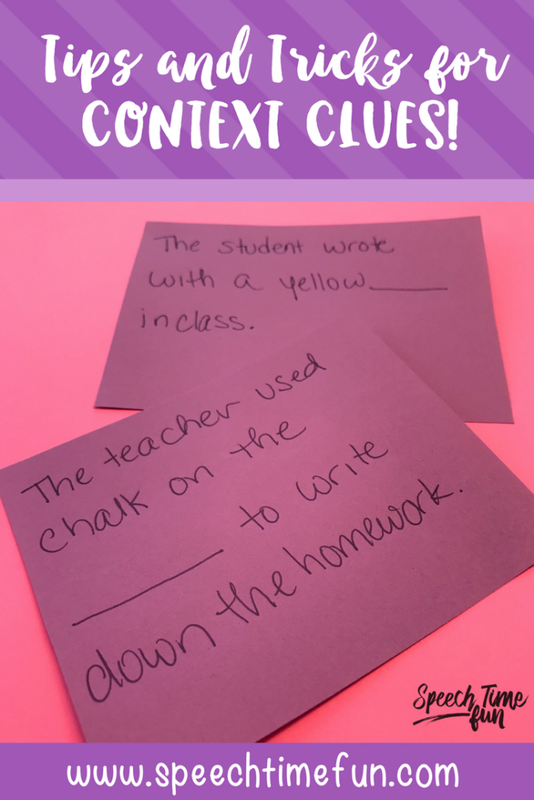 How do you work on context clues? What areas do your students struggle with the most? 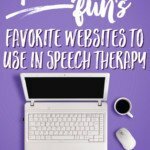 What resources/activities do you love to use?! 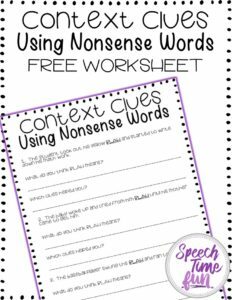 Want to work on context clues using nonsense words but don’t have time to come up with them on your own? 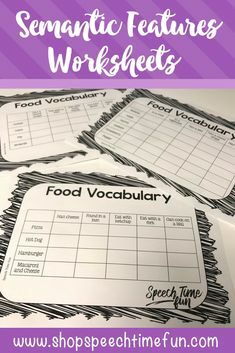 Grab my free worksheet below! 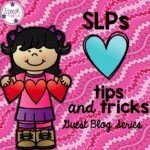 Tips and Tricks for Working on Inferencing in Speech!